Welcome to The Townhouse Hotel Arbroath. 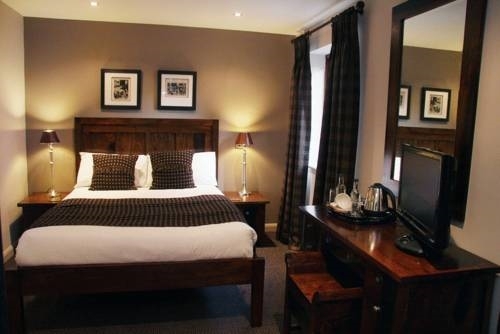 In Arbroath centre, just 30 minutes’ drive from Dundee, The Townhouse Hotel offers stylish rooms with free Wi-Fi. There is free parking, a restaurant and a lively bar. The spacious rooms at the Townhouse are individually decorated, and each has a private bathroom. All rooms have a TV, tea/coffee making facilities and a hairdryer. Ironing facilities are also available. The cosy bar offers light meals, snacks and a selection of beverages. A traditional full Scottish breakfast is served daily and is included in the room rate. Continental and vegetarian options are also available. Situated in Angus county, this hotel is a 5-minute drive from Arbroath Golf Course. Arbroath Railway Station is just 10 minutes’ walk away, offering direct trains to Aberdeen, Dundee and Perth. Corporate rate can be arranged for returning customers or customers staying 3 nights or more.